A commitment to growth and improvement has made Valley View Hospital in Glenwood Springs, Colorado an increasingly popular destination for superb healthcare. 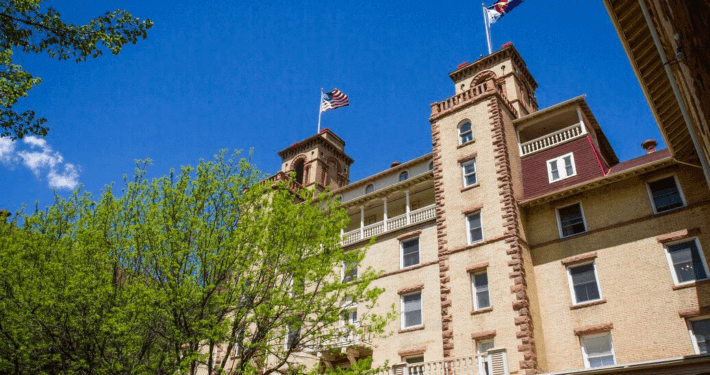 Should you need access to medical care, Glenwood Springs is home to the Valley View Hospital – a patient-centered hospital that providing both primary care and specialty care. The Valley View Hospital has been operating since 1955, and they work with local businesses to put together trip packages for their patients who have to travel from out of town for treatment. Valley View Hospital may be a small hospital, but it has a big reputation for excellence! In fact, a growing number of people are choosing to leave their home healthcare markets and travel to Glenwood Springs to receive their medical treatments. Among its many accolades Valley View Hospital has been recognized for performance excellence from Healthgrades, J.D. Power & Associates, The Joint Commission and Consumer Reports; Truven Health named it a “Top 100 Hospital.” Valley View is also a Planetree designated patient-centered hospital. For patients and their family and friends who travel with them for multiple day treatments, the hospital can customize a plan to make a stay at Valley View and in Glenwood Springs as pleasant as possible. For example, for those receiving cancer treatments at the Calloway Young Cancer Center, Valley View can assist with accommodations at either the Rona Chorman House, a nearby condominium for families of cancer patients, or through its partnerships with the area’s lodges. In addition to accommodations, Valley View continues to grow its community relationships with local restaurants, attractions and transportation providers. Offering care and compassion since 1955, Valley View Hospital has earned a reputation for phenomenal patient experiences. For more information, visit vvh.org/traveling-patients today! There are many parking lots for patients and visitors surrounding the hospital. There are also valet services available.